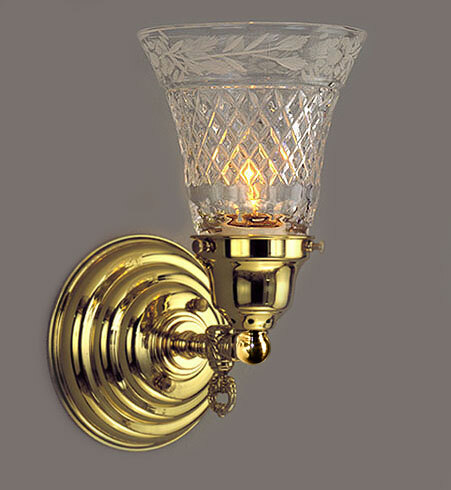 This single light Colonial wall light with diamond cut glass can easily be turned into a down light by simply mounting it in whatever direction you prefer! 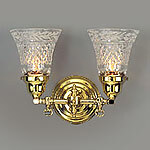 Picture perfect in polished brass and placeable anywhere! See the Double Light Version MODEL NS178. Width 5 In. / Projection 6 In. / Depth 8 In.